Sometimes strip malls house great food finds. 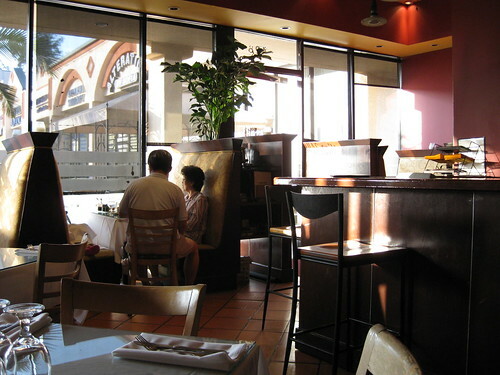 See, e.g., India's Grill (428 S. San Vicente Blvd., Los Angeles). Mr. Monkey and Brother Monkey each ordered a mango lassi. 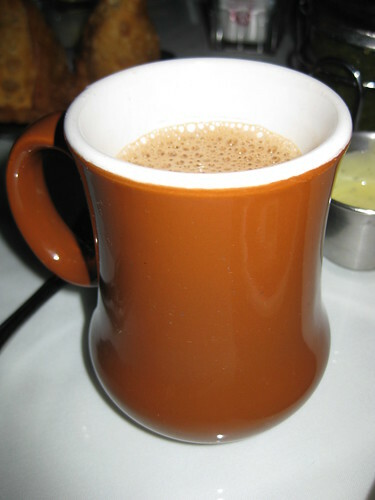 Torry and I had some hot chai. 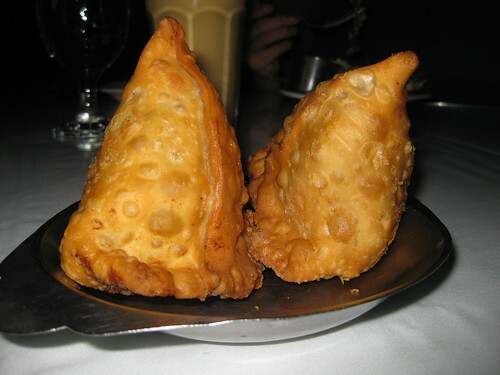 We got vegetable samosas ($3.95) and onion pakoras ($4.95) to share. 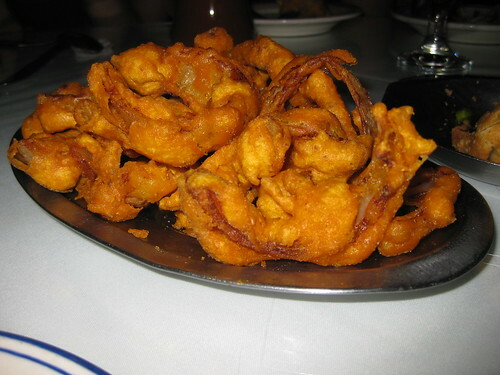 The pakoras were so deliciously seasoned and crunchy that even Mr. Monkey, who hates onions, ate a bunch. 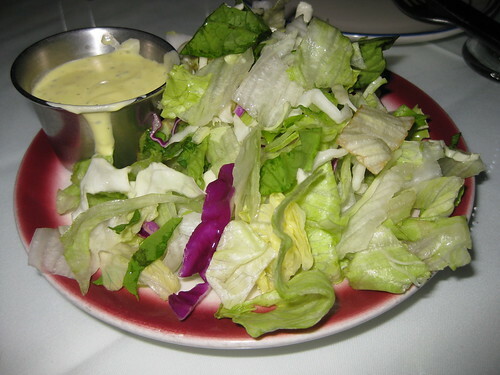 The salad that accompanied our dinners was unremarkable. But then came our enormous platters. 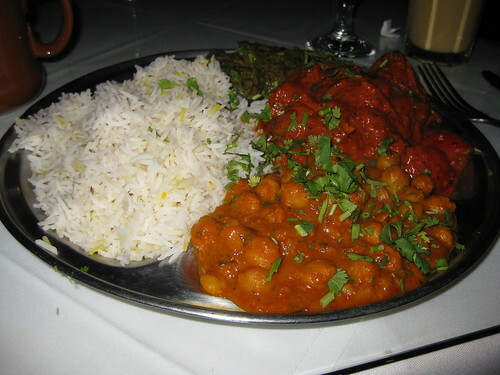 We each ordered a full dinner, which comes with the aforementioned unremarkable salad, saag, chana masala, naan, and rice. Entrees a la carte, of course, cost a bit less. Mr. Monkey's lamb vindaloo ($16.95). 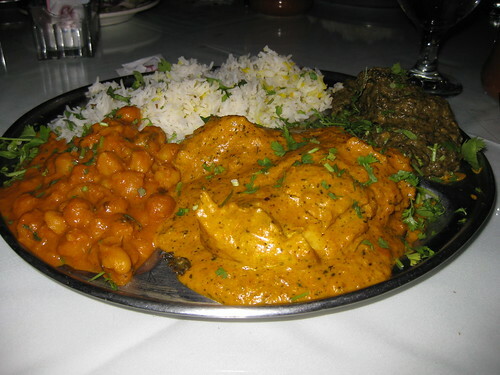 Brother Monkey's chicken masala ($15.95). Papa Monkey's lamb boti kabob ($17.95). 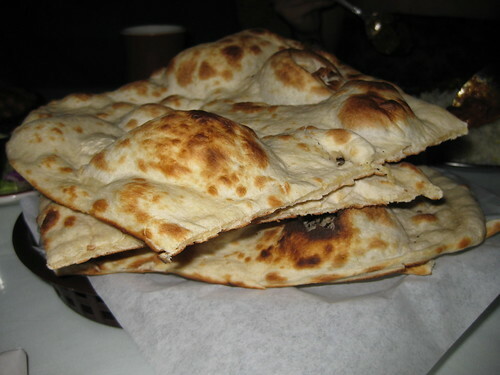 There was no shortage of naan. This was just one of two baskets. We all sampled each other's meals and were very pleased. Everything was rather flavorful. Beware that "spicy" at India's Grill actually means spicy. Too often, food is wussed down for weak Americans. Brother Monkey's and Mr. Monkey's dishes were truly hot, so much so that BroMo even broke a sweat. 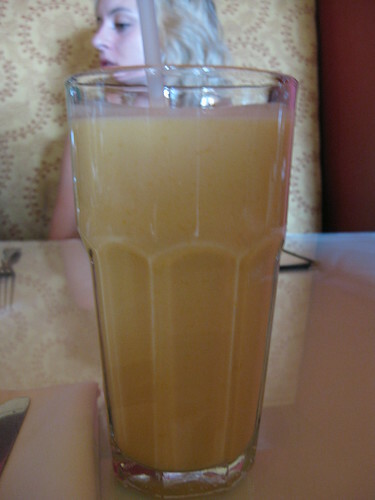 I don't think I could've survived my sampling of BroMo's meal without taking a generous sip of Mr. Monkey's cool refreshing lassi. The server wasn't kidding when he winked at BroMo when BroMo asked for his dish to be spicy. Torry and I were glad we asked for "medium" spice. Despite the deliciousness of everything, the dinner ended with lots and lots of leftovers because of the sheer volume of food. I'm excited to eat this again tonight. i'm breaking a sweat just reading this. I pink puffy heart Indian restaurants that don't wuss down the spice level of the food. Yum! 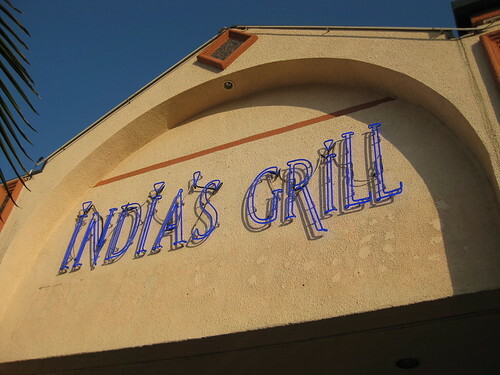 Oooh, I love India's Grill! We've been going there for years. It's definitely not Indian food on the cheap, but the quality is great and you definitely get a lot of food. 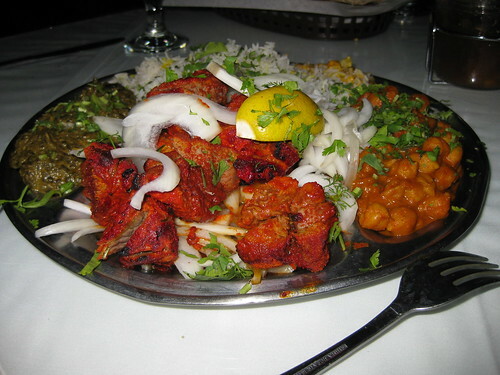 I LOVE their chicken tikka masala. It's really one of the more delicious Indian places IMO. MH saw this post and is now begging me to make lassi...I love that their food is actually hot!! I am a spice wuss, I would probably die at this place! the pics make it look really good though. 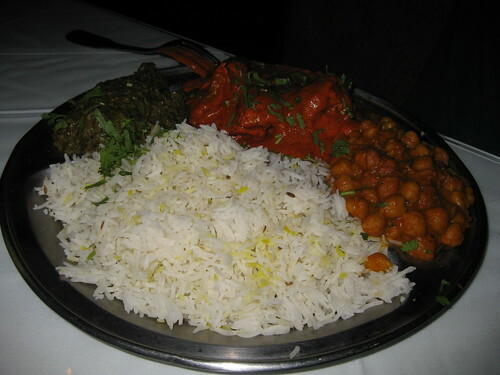 That's something I have to do soon...try Indian food. Reading your blog always makes me hungry. Ditto to what Winnie said! 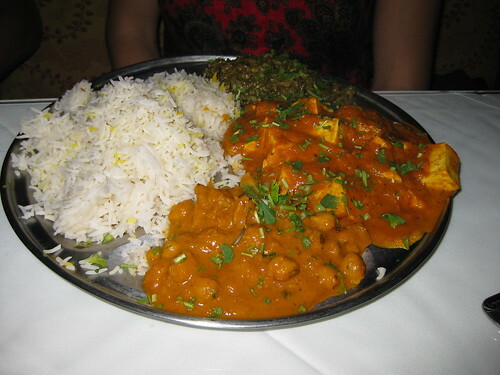 I do miss Indian food in Chile, the one place we've tried was unremarkable. When I go to England to visit family I always try to fill up on Indian since it's pretty reliably good there. oh yum. i need some mango lassi stat. Yum! three cheers for leftovers! you had me at breaking a sweat. me loves. going there soon!